The sweet sound of jazz is making a young band one of the hottest properties on the local music scene. They are as crisp and talented a band as you could hope for. It’s all in the name. 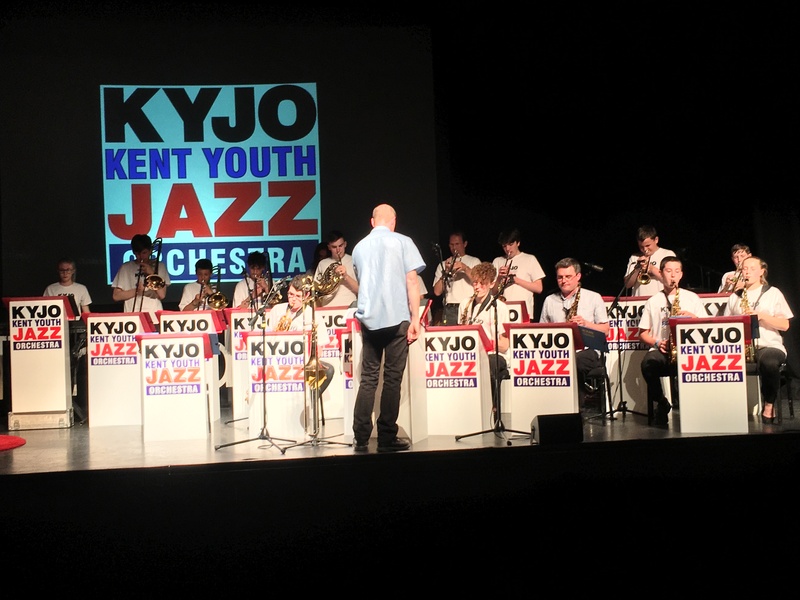 Kent Youth Jazz Orchestra (KYJO to its friends) is a group of talented young musicians playing an exciting mix of jazz standards, jazz-rock and jazz-funk. 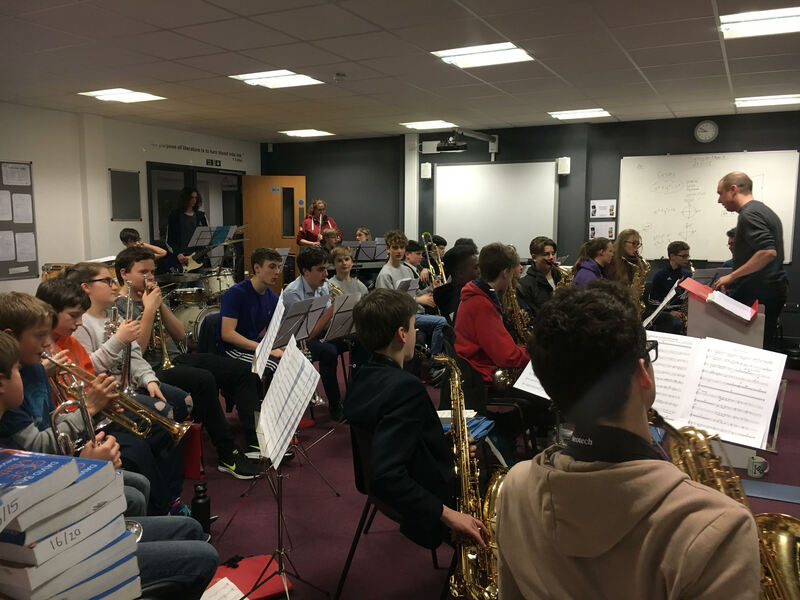 They come from across the county to perform at major concert venues, jazz clubs and festivals as well as running jazz workshops in Kent and further afield. The Canterbury and Sevenoaks Festivals are just two events appearing regularly on the gig list and the band has shared the bill with some top names in the jazz world, including Digby Fairweather, Derek Nash and Steve Waterman. 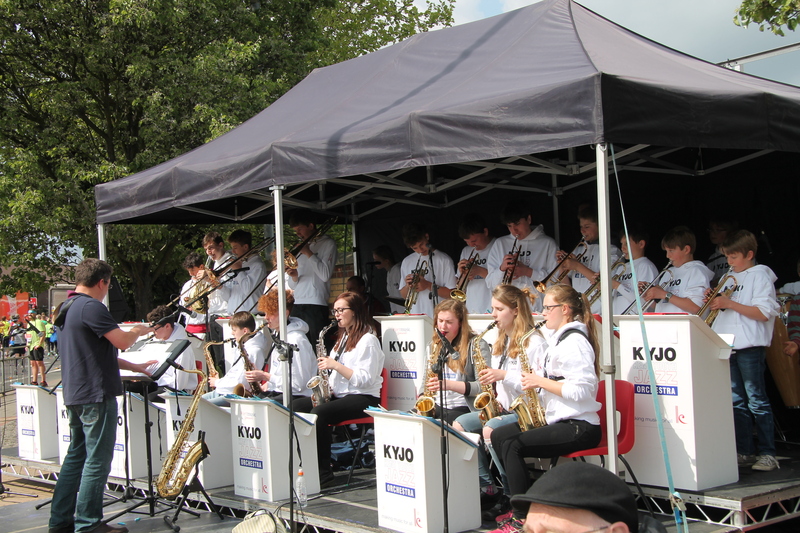 Wherever they perform, under the dynamic direction of trombonist, percussionist and keyboard player Mr Graham Mann, himself a graduate of the band, these youngsters are guaranteed to raise the roof. 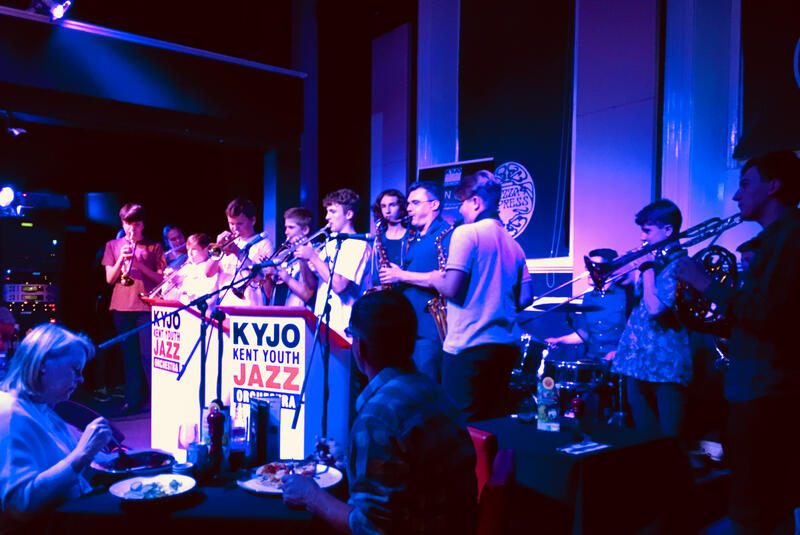 For information about membership, joining KYJO, gigs / performances / jazz workshops or hire of KYJO please contact us via our contact form by clicking here. ALSO, TO SEE VIDEOS FROM OUR RECENT CONCERTS AND GERMANY TOUR, PLEASE CLICK HERE. KYJO played their ‘Headline’ gig for 2019 with Steve Waterman. 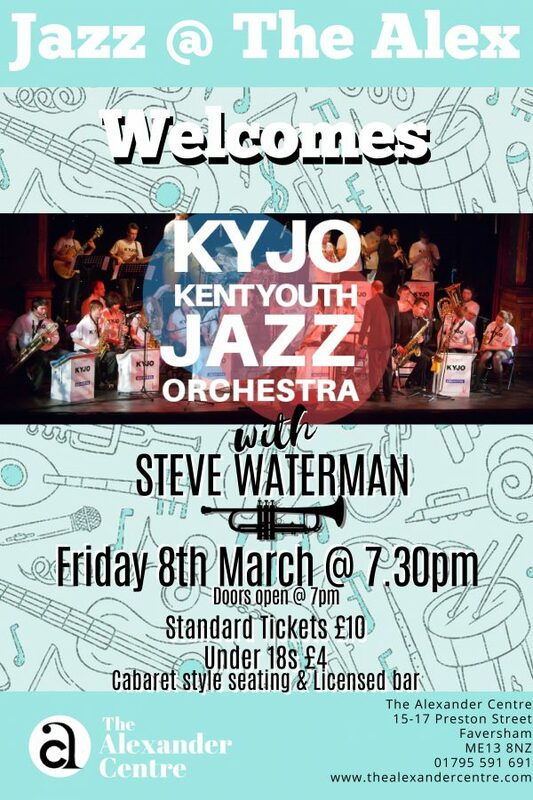 We were delighted to have played with world famous Jazz Trumpeter Steve Waterman at The Alexander Centre in Faversham on Friday 8th March 2019. The band played to a full house, and featured several of Steve Waterman’s own compositions in the set list, including ‘October Arrival’ and ‘Red Vest Man’. KYJO also covered a Beatles arrangement of ‘Fool On The Hill’. Our singer sang ‘Valerie’ and ‘September’. 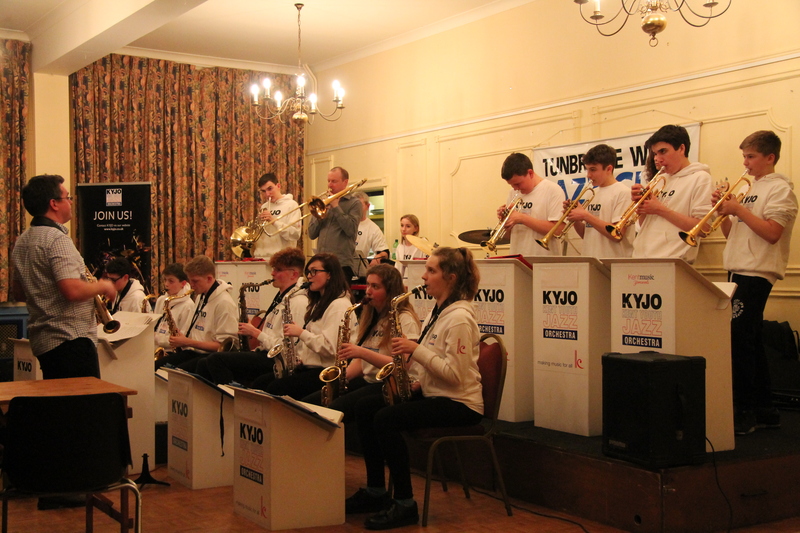 The band ended the concert with a fantastic rendition of Steve Waterman’s classic ‘Durham Sambassador’.